The Federation of European Motorcyclists’ Associations (FEMA) has put out a press release opposing the European Unions (EU) well-intentioned but wrong safety proposals regarding its new Road Safety Action Programme (RSAP) for the upcoming 10 years . Reiterating what we already stated at Right To Ride (European Commission – Carrot and Stick) on the 22nd July 2010, FEMA has lambasted the European Commission (EC), on certain aspects of its “new focus on motorcyclists”, for relying on unproven and expensive measures for increasing road safety to improve the conditions for powered two-wheelers (PTWs) such as: Mandatory Advanced Braking Systems, Updated Anti-Tampering measures and Extended road worthiness testing (RWT). While FEMA supports the commitment of the EU to increase road safety and to improve the conditions for powered two-wheelers (PTWs) through the EC’s new Road Safety Action Programme (RSAP), FEMA adds that the Commission has made hardly any reference to recommendations of international expert groups like the OECD Workshop on Motorcycle Safety. On Tuesday 20 July the European Commission published its new Road Safety Action Programme (RSAP) for the upcoming 10 years. The goal is to make European roads and traffic safer and to half the number of road deaths by 2020. 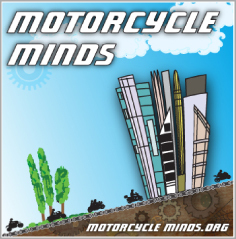 In principle the Federation of European Motorcyclists’ Association (FEMA) and its 25 national member organizations support the commitment of the EU to increase road safety and to improve the conditions for powered two-wheelers (PTWs). 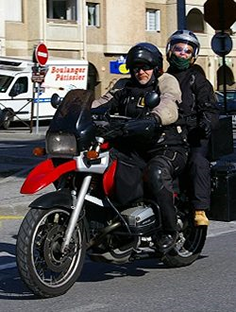 The Commission added “a new focus on motorcyclists” into the RSAP but hardly makes reference to recommendations of international expert groups like the OECD Workshop on Motorcycle Safety. Mandatory Advanced Braking Systems: The Commission has to make clear what exactly is meant by the term “Advanced Braking Systems”. In any case FEMA opposes mandatory Anti-Locking Brakes since these cause additional costs, the technology still holds potential for improvement, therefore the user must have the right to decide on their own about its installation. Updated Anti-Tampering measures: FEMA doubts the safety relevance the Commission entitles towards this issue and believes that the industry’s commitment to anti-tampering measures is motivated not only by safety arguments, but also by commercial impulses to keep or gain control over the market. Extended road worthiness testing (RWT): RWT means an additional cost burden for the user and statistical data does not show safety benefits comparing EU countries with and without RWT.